Description: This seems to be an earlier salt glazed jar. 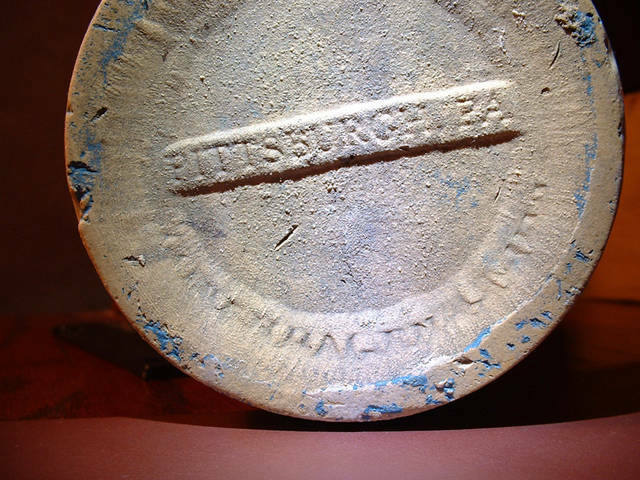 It is clearly marked PITTSBURGH PA in the center of the bottom, additional wording around the bottom, but I would be guessing at what it says. 6 inches tall. There is a ledge inside the neck for a top, but it is fully glazed, so maybe a cork stopper. No chips or cracks, does show crazing. There are small bits of ash in the glaze, so probably wood or coal fired, (alkaline glaze?). Apparently hand thrown with a seam running around the pot at the shoulder, very visable on the inside. A really well made piece. If you know who made this please let me know. - Thank you. Found it. Wayman & Bro Copenhagen Snuff Jar. These are normally impressed on the side, near the bottom. This on3 is marked on the bottom only. I don't know if this helps date this on not. 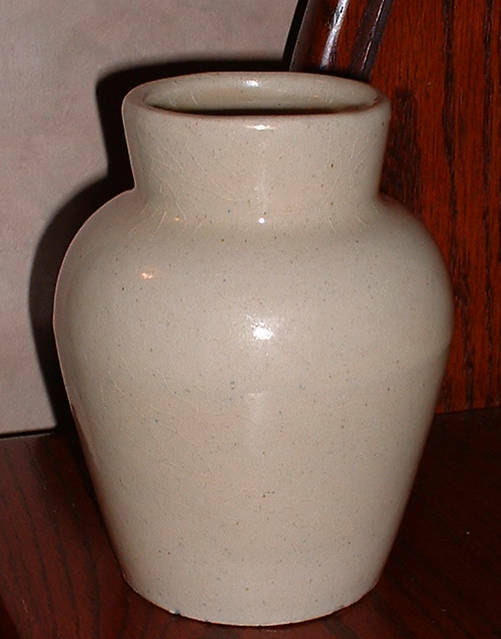 Research indicates this jar dates from around the late 1870's.